I meant to review this show when I saw it in May, so we’re taking another quick break from the ongoing series so I can finish this review in a timely fashion. By World War II, Art Deco had left its mark on almost every medium of visual art. 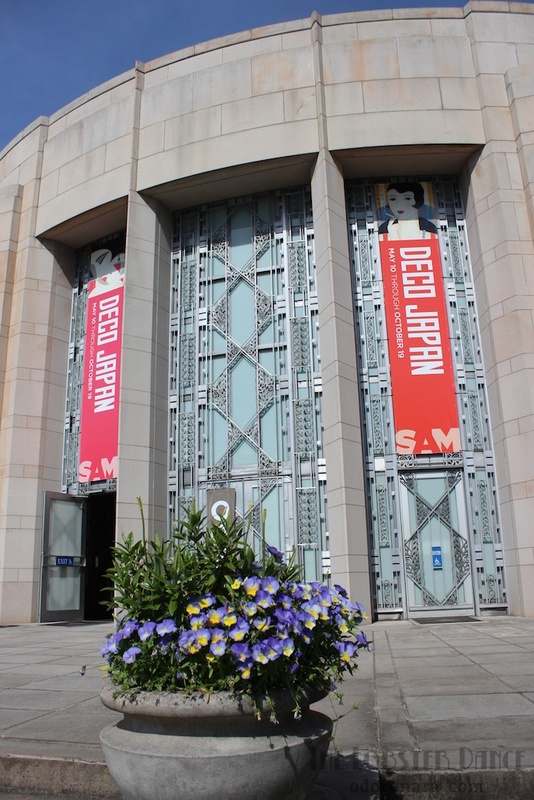 Deco Japan: Shaping Art and Culture, 1920–1945, with nearly 200 works, reveals the widespread and particular impact of Art Deco on Japanese culture. Through a wide range of mediums—sculpture, painting, prints, ceramics, lacquerware, jewelry, textiles, furniture, and graphic ephemera—this exhibition introduces the spectacular craftsmanship and sophisticated designs of Japan’s contribution to the movement. Shown in our gem-like 1933 Art Deco building, Deco Japan offers you the rare opportunity to experience the full range of Deco artistry in a period setting.